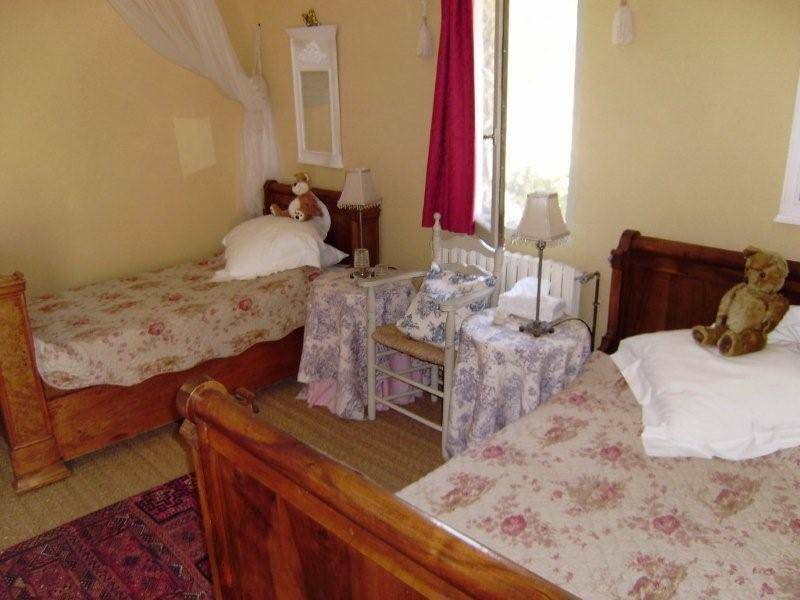 A charming self contained chambre d’hote with private terrace, private parking and acres of grounds. 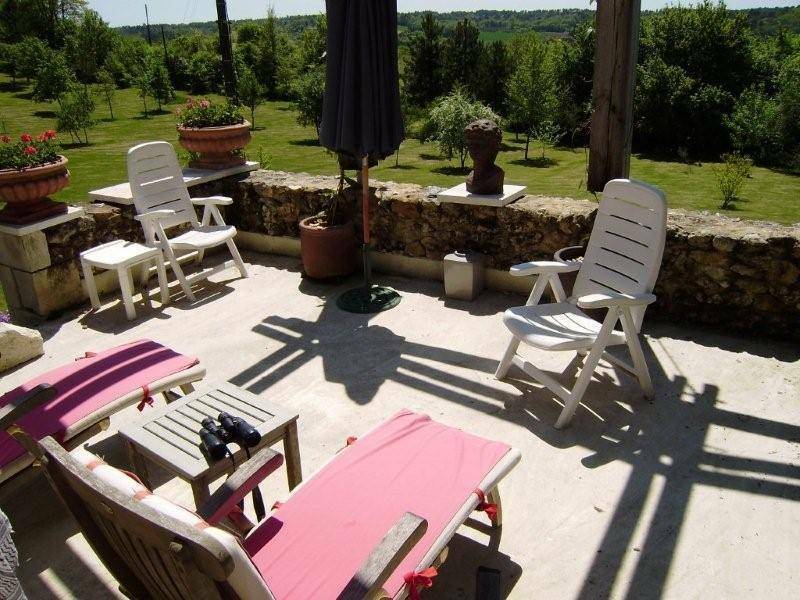 Situated a short drive from Bergerac and the nearby town of Mussidan at the end of a country lane this is the perfect place to relax and unwind. 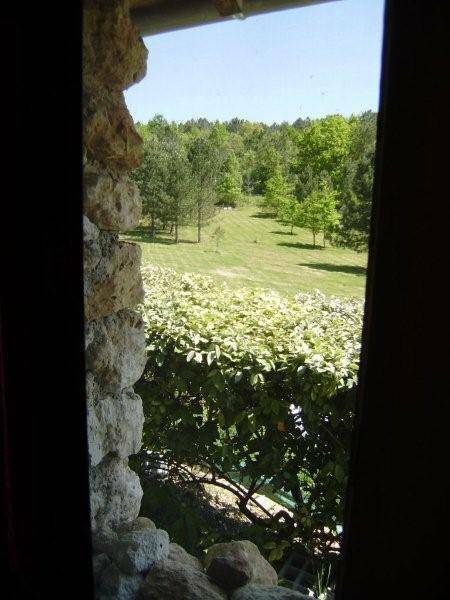 Peace and quiet guaranteed in lovely surroundings. 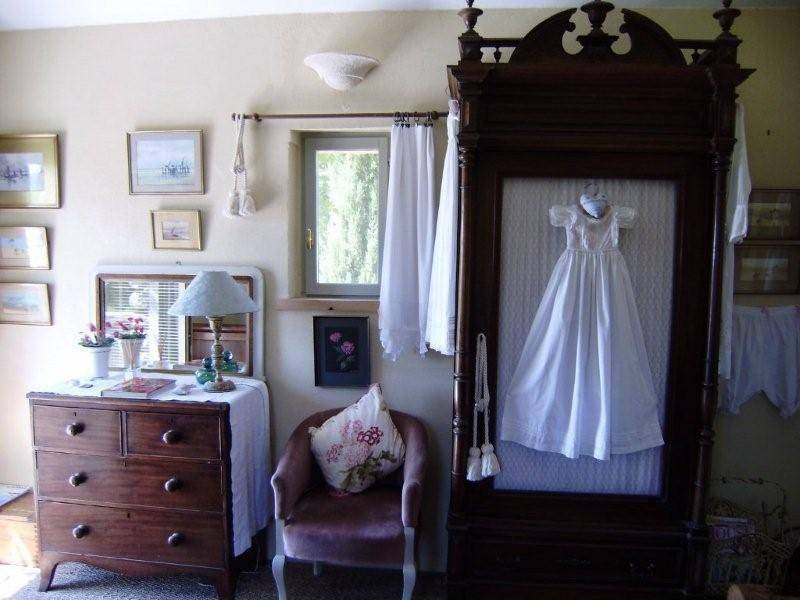 Comfortable twin bedroom with antique ‘lit bateau’ Louis Philip. Tastefully decorated with entrance direct onto your own private south facing terrace, sunloungers etc. Shower room and toilet the whole unit is a completely self-contained wing of the main house. Your hosts Ann and Tony, a retired English couple, offer all their guests a very warm welcome and can provide an evening meal (ordered in advance). 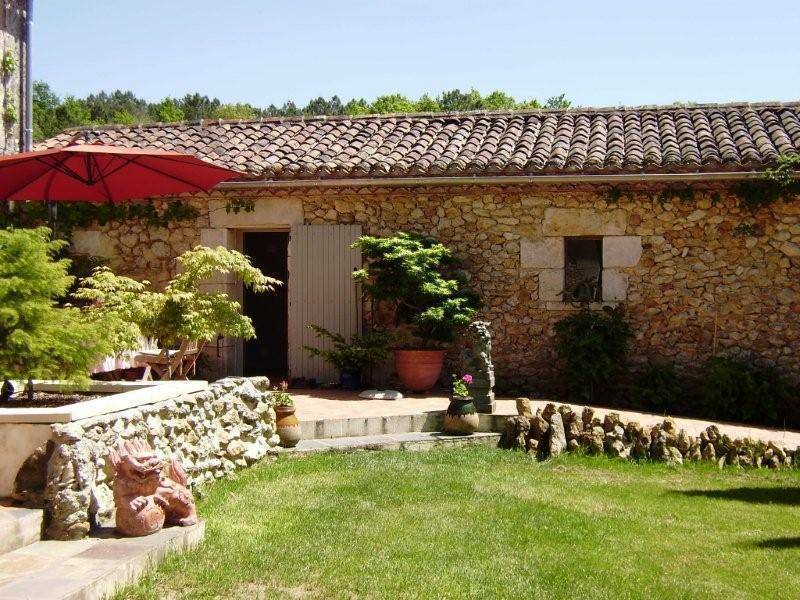 The property is about 20km from Bergerac and 10km from Mussidan within a short drive to all the main sites of the Dordogne. In the countryside with no near neighbours this is a perfect haven of tranquillity. 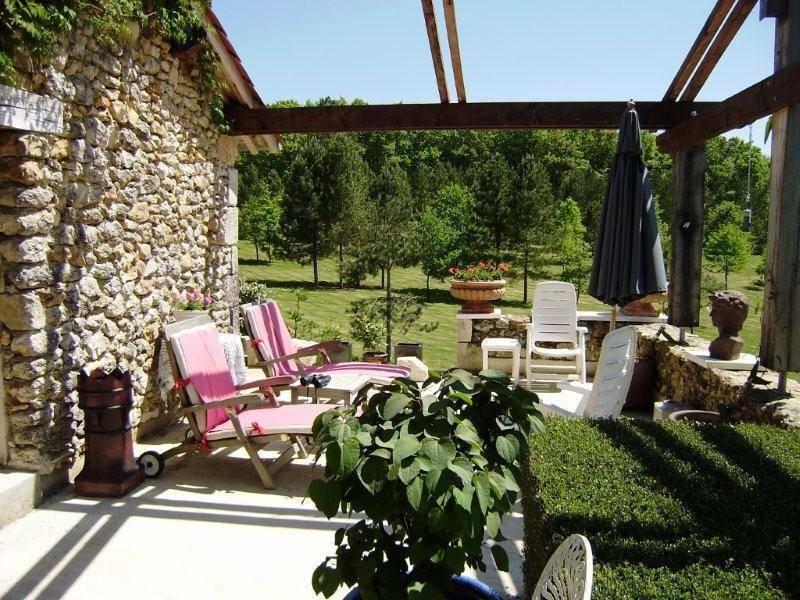 A quiet and peaceful rural retreat with splendid views and no close neighbours. Situated between Bergerac on the River Dordogne and the River Isle to the north, this is an ideal place from which to explore the Dordogne. The Isle Valley has been inhabited since prehistory and traces have been found of cave paintings at Gabillou near to Sourzac, as well as dolmens and standing stones. It was the Norman’s who sailed up the River Isle in the 9th century to pillage and plunder the towns of Montpon, Mussidan and the fortified abbeys of Sourzac and Saint Astier. To the north of the Isle lies the 50, 000 hectare forest of La Double, a haven for wild life and containing the lake Jemaye which is a regional park with artificial sandy beach, boats and nature trails, picnic area, snacks and restaurant. To the south lies Bergerac with it’s medieval town centre, charming little squares and alleys, timber framed houses, fountains and curious little shops and pavement cafes and restaurants. From the old port you can take the road train to visit the town or a trip on the river in a traditional flat bottomed Gabare. There are several museums to visit or you may simply enjoy just strolling around. Detailed directions will be emailed.